1. Lockable Security Option: Protects against theft when paired with a locking mount. 3. 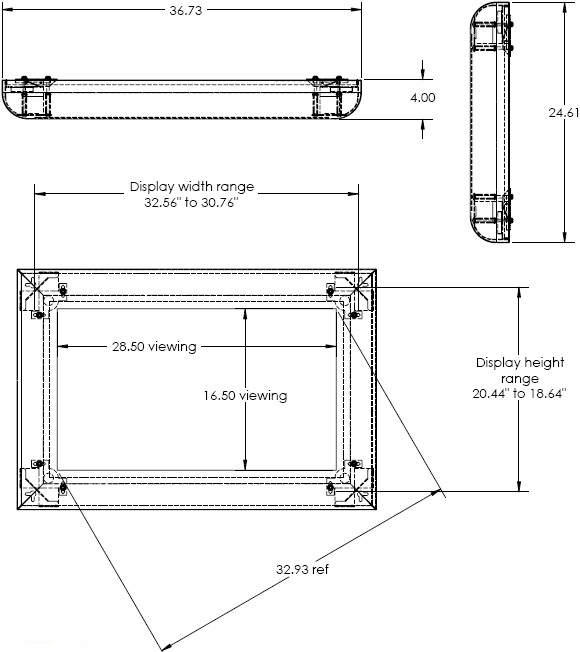 Adjustable Design: Corners adjust for a secure fit directly to flat panel bezel. 5. 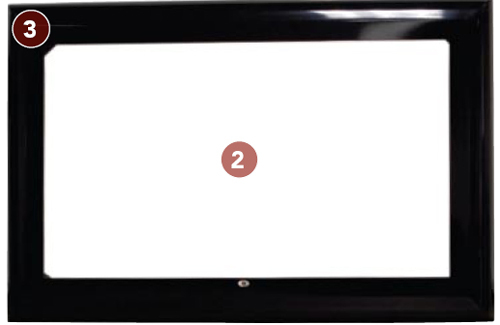 Available for 32", 42" and 50" flat panel TV's and monitors. 6. 42" version is available in Black or Silver. 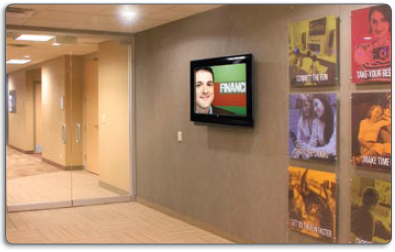 Heavy-duty guards protect against vandalism and button-pushers, and feature and aesthetic design that blends seamlessly with any environment. 36.73" x 24.61" x 4"
45.93" x 30.06" x 4.06"